Broadway theatre orchestrator, composer, arranger, conductor, and writer Don Sebesky (b. Perth Amboy, NJ, 10 December 1937) is one of the most active, talented, and respected musicians in the entertainment world today. As a recording artist and in collaboration with other artists, he has won three Grammy Awards® and been nominated for 27 more, won a Tony® and been nominated for two more, won two Drama Desk Awards, three Emmy nominations and four Clio Awards. He has composed music for film and symphonic performance, made arrangements for pop singers and jazz artists, and literally written the book on arranging. Sebesky grew up in New Jersey, taking up the accordion at the age of eight. He later came to realize that this instrument was the best possible choice he could have made because, as he says, the accordion is a “mini-orchestra” and teaches the principles of harmony from the very beginning. His earliest influences were the big bands of Stan Kenton and Maynard Ferguson, and when at age twelve he switched to playing trombone, he also began to experiment with making arrangements in that style. He began his professional career while a student at the Manhattan School of Music, playing with Kai Winding, Claude Thornhill, and the Tommy Dorsey Band led by Warren Covington. He left school in his fourth year when he was hired to play the trombone in Maynard Ferguson’s band. He also played briefly with Stan Kenton, but in 1959 decided to give up trombone playing and devote himself full time to writing and arranging, working out an individual style based on a combination of jazz and classical music. In 1965 Don Sebesky joined Verve Records – the company under the leadership of Creed Taylor that later became A & M and ultimately CTI – as staff arranger, turning out many hit records; one of his most distinctive and successful arrangements was for Wes Montgomery’s album Bumpin’ (1965). Other credits include George Benson’s The Shape of Things to Come, Paul Desmond’s From the Hot Afternoon, and Freddie Hubbard’s First Light. Sebesky’s 1973 release, Giant Box, reached Number 16 on the U.S. Billboard Jazz Albums chart and was nominated for a Grammy®. Don Sebesky has composed and arranged music for Christina Aguilera, Barbra Streisand, Tony Bennett, Britney Spears, Chet Baker, Vanessa Williams, Bette Midler, Barry Manilow, Liza Minnelli, Cyndi Lauper, and a host of other pop stars. He has composed and orchestrated for several films, including the Oscar®-nominated short subject Time Piece (1965) with Jim Henson, The Rosary Murders (1987) with Donald Sutherland (for which Sebesky also conducted), and Julie & Julia (2009) with Meryl Streep. Nor has he been absent from the world of television: he received an Emmy nomination for Outstanding Achievement in Music Direction in 1988 for Irving Berlin’s 100th Birthday Celebration. Three tracks from two albums of his jazz arrangements from RCA Records have won Grammys®: “Waltz for Debby” from I Remember Bill (1998) and “Chelsea Bridge” and “Joyful Noise Suite” from Joyful Noise (1999). 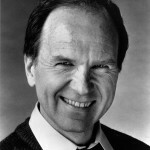 Sebesky’s career orchestrating for Broadway musicals began in 1983 with Peg (a Peggy Lee special), got rolling in 1993 with Cyrano, and has snowballed to the present day with the currently running Come Fly Away (2010). He got a Tony® nomination for his work on The Life in 1997, another for Parade in 1999, and Drama Desk Awards for Parade (1999) and Kiss Me Kate (2000). Kiss Me Kate also won him the 2000 Tony Award® for Best Orchestrations. More recently he has worked on the revivals of Bells Are Ringing (2001), Flower Drum Song (2002), The Boys from Syracuse (2002), Sweet Charity (2005), and Pal Joey (2008). He also contributed the arrangements for Liza’s at the Palace, winner of the 2008 Tony® for Best Special Theatrical Event. The standard textbook for music arranging, used in colleges and music schools all over the world, is The Contemporary Arranger (1975) by Don Sebesky.